The House and Senate remain divided over personal liability and the definition of sexual harassment. WASHINGTON — Congress remains deadlocked on landmark legislation to reform its handling of sexual harassment accusations as the House and the Senate have yet to agree on the amount of personal accountability for accused lawmakers. With the House leaving for their August recess and lawmakers looking toward election season, time is running short to pass proposed reforms that began as a response to a wave of #MeToo-fueled sexual harassment accusations against members of Congress and senior staffers. The ongoing talks have yielded no clear resolution and the stalemate is threatening months of work on legislation while House members continue to oppose a Senate-passed bill that includes less oversight and accountability for members. 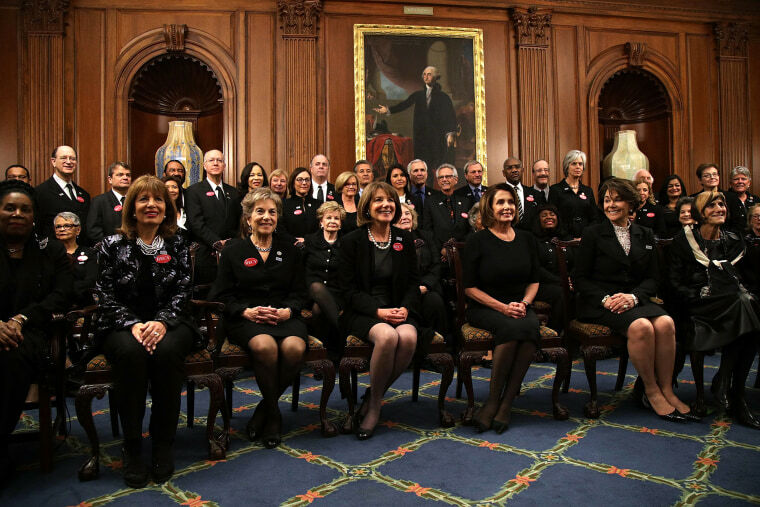 The Senate passed their version of the legislation in May after wrangling over some of the most controversial components of the legislation, including members’ personal reimbursement of harassment claims. While both bills require a lawmaker who enters into a settlement over sexual harassment accusations to be financially responsible for payments, the Senate bill is much more limited in scope. In the Senate bill, a lawmaker must pay only in instances of sexual harassment and not for other forms of discrimination against a subordinate. It also narrows the definition of harassment, leading critics to say these two actions create a loophole that could make it more difficult to reach a sexual harassment claim because the wrongdoing can be categorized as discrimination. When the Senate passed their bill unanimously, three months after the House acted, they hoped that the House would just adopt their version. But House leaders on the issue immediately protested, saying that the Senate bill creates too many loopholes to be considered a strong deterrent of harassment on the Hill. “I just feel like we passed what I felt like a really good bill in February that addresses the problems we have,” Rep. Gregg Harper, R-Miss, told NBC News of the House bill. Both sides have been trying to avoid having a formal conference committee, opting instead to work out the differences between the two at the staff level. Rep. Barbara Comstock, R-Va., who helped to write the House version, said that the staff meetings should be dispensed with and the discussions should be elevated to a more transparent conference committee with the lawmakers. “(House Speaker Paul Ryan) understands the House version is much stronger and that’s why we want to retain that, and I think that’s a universal feeling here. That’s why we need to bring it more out in the open and have those discussions more publicly,” she told NBC News. Both bills aim to reform the reporting process for sexual harassment. They both make significant changes for potential victims to file a complaint, eliminating the mandatory “counseling” and “cooling off periods” that accusers are currently required to go through. While the House bill also eliminates the mandatory mediation, the Senate bill softens it and puts the onus on the victim to opt out within ten days of filing a complaint. Both bills also provide victim protections to unpaid staff such as interns and fellows and would implement a workplace-wide anonymous survey to provide data on workplace safety and harassment. House members have also critiqued the Senate bill for allowing the Ethics Committee to review the case when a member is expected to pay a settlement. Critics say that process creates an opportunity for lawmakers to be excused from personal accountability of payment. There is another point of contention as well. The victim in the Senate version doesn’t get to retain employer-provided legal counsel, like he or she does in the House bill. Instead, the accuser gets “confidential advisers” who are forbidden from providing legal advice.